"The whales represent all living creatures. They're so precious and so wonderful. Just like this universe is, like this planet is, and like you are. You have to never forget that. You're a part of it. We're here for a reason. And that's to make sure this universe stays beautiful. And wonderful. And brilliant. And it's so important to remember how precious this life is. Thank you so much." Those words conclude Time/Life (Song for the Whales and Other Beings). They come from Charlie Haden himself, at a performance of "Song for the Whales," recorded in 2011. The message has weighed heavy on my mind over this past month, when considering the turn of political events in this country, not to mention the attitudes towards people and land in North Dakota. It's left me wondering, what would Charlie Haden think of all this? Haden, who passed away in 2014, was not only an amazing bass player and composer, he was a guy with a big heart, who had a genuine care for humanity. Actually, he cared for all living creatures, as his words prove. I found this out first hand when I talked to him in 2003 prior to a Pittsburgh appearance. (You can find that here, along with some other thoughts about Haden and Ornette.) When he speaks on the recording, his voice sounds a little frail, but his thoughts are so strong and determined, it's easy to be moved by them. Of course the Liberation Music Orchestra has always been about such things. In the notes to their debut (recorded in 1969) Haden dedicated the album "to creating a better world; a world without war and killing; without poverty and exploitation; a world where men of all governments realize the vital importance of life and strive to protect rather than to destroy it.We hope to see a new society of enlightenment and wisdom where creative thought becomes the most dominant force in all people's lives." On the record there were moments of joy, humor and honor. They were also dark moments, the biggest being "Circus '68 '69" where the group recreated the chaos of the 1968 Democratic Convention, dividing into two sections which each blew like crazy. At the height of the noise, an organ starts playing "We Shall Overcome." After it all fades, the group reconvenes for a short ending theme, which sounds bleak. The closing track follows it: a one-chorus reading of "We Shall Overcome," as if to remind us that there is hope for a better future, if we follow what Haden said in his notes. While that album - which no jazz collection should be without - had its darker moments, the LMO albums that followed it in 1982, 1990 and 2005 were more somber and thoughtful - ultimately hopeful. 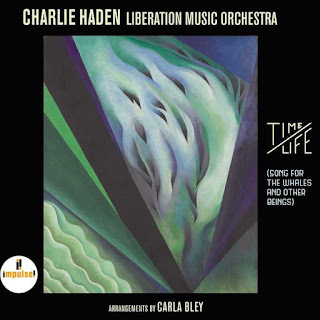 It felt as if Haden, his musical partner in crime and arrangements Carla Bley and all the members of the group, were done reminding of us of bleakness or hostility and they decided to move forward with the part about making the world a better place. Which now leads us to Time/Life. Haden only appears on two tracks, "Song for the Whales" and its bookend at the start of the album, a version of the Miles Davis/Bill Evans classic "Blue in Green." Both come from the same concert at the Middelheim Festival in Belgium, recorded for Belgian Public Radio. Three lengthy studio pieces between the two live ones, recorded a day after a memorial for Haden last year. Steve Swallow takes over the bass duties on these tracks. Although they all have a pensive quality, they're also woven with the powerful lyrical quality that Haden projected in his work with his quartet with David Sanchez and Gonzalo Rubalcalba. "Blue in Green," which was immortalized by its appearance on Kind of Blue, gets some strong ensemble coloring from Bley, who makes sure the group sounds lush but not lightweight. It features a Haden solo that sounds thoughtful and conversational, followed by lithe solo by Chris Cheek. 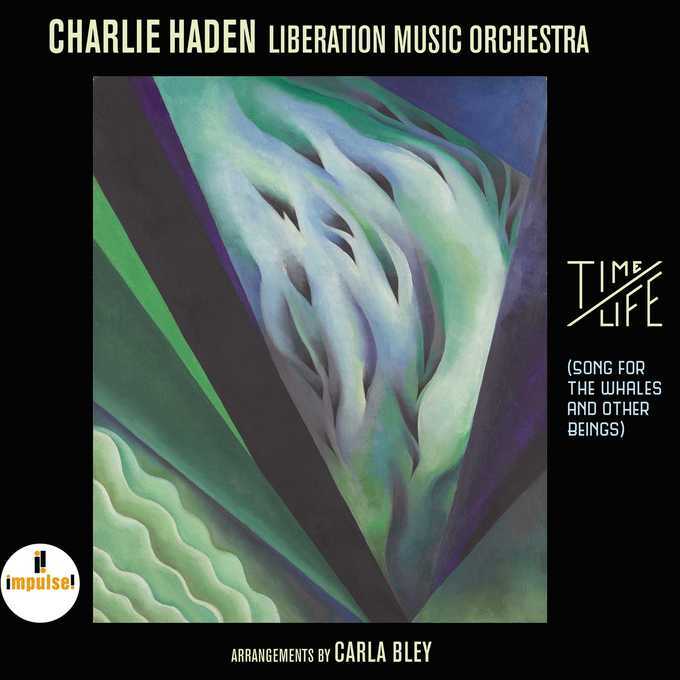 The three post-Haden pieces that follow all have a somber feeling to them, but it's never mournful, even in "Time/Life," which Bley wrote as a requiem to her friend. Tenor saxophonist Tony Malaby takes the spotlight for half of the piece, opening with the melody (which has faint traces of some old standard that I can't recall by name) and soloing for seven minutes. He builds slowly, moving into double time, as the Orchestra builds up under him. Drummer Matt Wilson takes over with a spare solo that almost feels like a chant or invocation. From there, 10 of the players each take an eight-bar solo, with the mood getting brighter and louder around the time of Seneca Black's trumpet solo. It may be a requiem but it concludes by sounding joyful. "Silent Spring," a Bley piece that dates back to the '60s, opens with acoustic guitar solo by Steve Cardenas, then goes into minor dirge like something out of Sketches of Spain. That comparison is heightened by the way Michael Rodriguez's trumpet has a slow burning quality, much like Miles Davis used on that album. "Ùtviklingssang" - "development song" according to an online translation - features trombonist Curtis Fowlkes and alto saxophonist Loren Stillman each playing the folk-like theme separately, with the Orchestra easing their way in with Stillman. Both of them solo over another minor vamp, creating some stunning performances, especially Stillman who gets a little more space. Any free jazz enthusiast who yearned to hear Charlie Haden really cut loose will relish "Song for the Whales." It begins with the bassist bowing and scraping out a song that evokes whale noises, not in a ham-fisted or ridiculous way but in a manner that brings gravity to subject. He then starts the group on a rubato theme which recreates the spirit of Liberation Music Orchestra's original version of Haden's "Song for Che." This is due in no small part to a wild tenor solo from Malaby, who adds gruffness and shrieks to heighten the intensity. After Haden's final spoken words, Time/Life might leaves the listener missing the bassist even more, but the album also provides a celebration of his spirit, ultimately making it an uplifting experience. Which can only be concluded with the word Haden used to show his enthusiasm: Solid. Bassist Barry Guy's two new albums for Intakt both take inspiration from works of art. In the case of the first one, it also incorporates the way a work of art can be presented and the resulting way in which the work is interpreted, with possible political motives coming out in the process. Vastly different in structure and instrumentation, both mine the visual medium to create strong, enduring works. When Colin Powell went on t.v. from the United Nations to present a case for the U.S. invasion of Iraq in 2003, he stood near a reproduction of Pablo Picasso's Guernica. The painting was inspired by the 1937 bombing of that city, and due to the nature of it, Picasso's work was draped in a blue shroud prior to Powell's talk. Presumably the images of war were too much for the public to see as a declaration of a new war was being made. 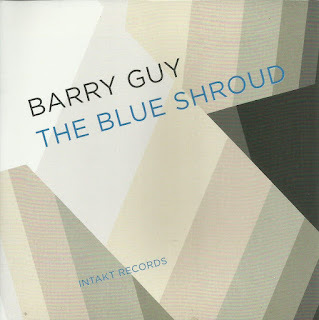 When writing The Blue Shroud, a 71-minute piece presented in 11 sections on disc, Guy was inspired by all of the acts - the bombing itself, Guernica and the act of shrouding it before Powell's speech. To bring it to life he assembled a 14-piece band, including a vocalist, strings, reeds, low and high brass and two drummers. Along with his original score, he incorporates pieces by classical composers H.I.F. Biber and J.S. Bach. The work gets wild and there are moments of full blown chaos, but those are fleeting sections amidst bigger pieces. Ben Dwyer's guitar evokes flamenco as he strums furiously over a droning, bowed bass. Saxophones pop furiously, leading to vocals, quickly followed by piano clatter and low chattering strings. The overall feeling is minor, although hope feels like it could be on the horizon. This is especially true when the ensemble plays the Biber's pieces (which refer to Stations of the Cross) and Bach's "Agnus Dei." Irish poet Kerry Hardie composed "Symbols of Guernica" which vocalist Savina Yannatou recites in sections throughout the piece. The use of voice and intense imagery never makes the work polemic or bombastic. Rather it elevates the feeling of the work. Since the liner notes, like all Intakt releases, appear in both German and English, it was hard to tell at first if Yannatou's recitation was in English or not, since it, wisely, was not pushed to far forward in the mix. This added to the overall impact of The Blue Shroud, making this element just one piece of a stronger whole. The seven tracks on Deep Memory all derive titles from works by British painter Hughie O'Donoghue, from a 2007 Berlin exhibition titled Lost Poems. 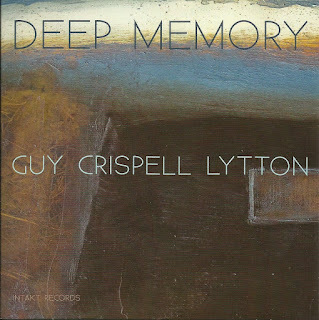 Though Guy didn't attempt to transform each canvas into music there can be parallels drawn between the vast, sometimes dark, swaths of color and Guy's performance with longtime collaborators Marilyn Crispell (piano) and Paul Lytton (percussion). More than anything else, this collection reveals that wide array of moods this trio can create. After the opening "Spirit" - a tranquil rubato piece that unfolds slowly with gentle piano and a plucked bass solo - the group explodes, quite literally, in the opening seconds of "Fallen Angel," with furious bowing and crashes on the keys. The mood of the track also turns calm, but builds up to a climax a few more times, sustaining energy all along. 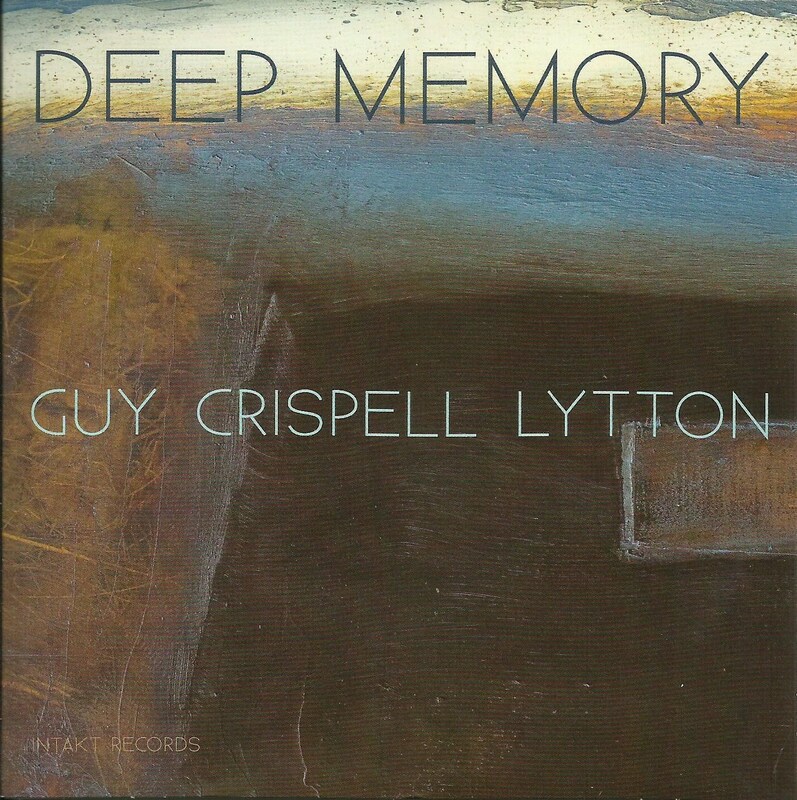 "Return of Ulysses" proves why Crispell is so highly regarded as a post-Cecil Taylor proponent of energy and technique. She unleashes blocks of sound over some furious bass scrapes that might have put the future of Guy's bow in jeopardy. "Dark Days" begins with her firing repeatedly on one note before taking off across the whole keyboard. Yet for all of the wildness, Crispell draws on her deeply meditative side as well, which is felt in "Silenced Music" as well as the aforementioned opening track. Lytton colors the music perfectly, whether he's sitting back or adding some hard rolls to the stop-start theme of "Sleeper." And Guy, who composed everything, sounds great, especially in his "Spirit" solo which made my car's speakers vibrate wonderfully during a recent listen. Which proves that the best way to listen is by sitting right in front of two strong speakers. Last summer I found a used copy of Out Front by Booker Little. I knew the trumpeter largely for the three albums that collected a performances at the Five Spot in Eric Dolphy's quintet, as well as Max Roach's Percussion Bitter Sweet. On all of these recordings, Little displays a voice unlike any other in the hard bop era. He had the technique of Lee Morgan or Freddie Hubbard, but his sense of melodic possibilities was closer to the avant-garde, or really to Dolphy. Like his reed playing partner, he wasn't blowing free. He was bringing a new perspective to chordal music and making it work powerfully. Little died in 1961 of complications from uremia, at the age of 23. The potential he had, coupled with the death at such a young age, puts him in a rarefied league of jazz musicians that should have been, right up there with fellow trumpeter Clifford Brown, bassist Scott LaFaro and pianist Richard Twardzik. Dolphy could also be lumped in with this group, although he managed to release a vast number of albums before passing away in 1964. Booker Little only recorded a couple. For Out Front, Little essentially recruited his bandmates from the Roach group: Dolphy, Roach (who plays tympani and vibes as well as traps), Julian Priester (trombone) and Art Davis, alternating with Ron Carter (bass). A 25-year old pianist named Don Friedman completed the group. That name will pop up again in a moment. Upon listening to the seven original pieces on Out Front, I wondered how I had lived this long without it. The originality and power of this music is comparable to hard-to-describe classics like Dolphy's Out to Lunch or Andrew Hill's Point of Departure. You can hear new ground being broken as the music proceeds. While Hill's album had "Dedication," a mournful but powerful dirge (which changed the mood of the session from happy to pensive), Out Front has two pieces like that: "Moods in Free Time" and "Man of Words," which appear back to back. Throughout the album, these musicians dig into Little's ideas, which involve not only melodic jumps but leaps in time signatures, never once making them sound heavy handed. Friedman, the pianist on Out Front, passed away in June of this year, at the age of 81. (For an overview of his life, check out Nate Chinen's column in the November issue of JazzTimes.) Last fall he went into the studio and recorded Strength and Sanity, eight Little compositions, five of them from the album on which he originally played. Rather than trying to recreate the sonorous blend of Little, Dolphy and Priester with other musicians, he does it all on the piano. Bassist Phil Palombi and drummer Shinnosuke Takahasi accompany him. The impact of these performances makes you wonder if Friedman had been waiting his whole life to revisit the material. While a side-by-side comparison is an exercise in futility, it's nonetheless interesting to listen to the way the pianist brings them to life. "Moods In Free Time," the first of the dark pieces from the original album, kicks off the album with a slow bass ostinato, over which Friedman spills out bursts of notes, in a pensive but more celebratory manner. Takahashi cues the tempo change which goes from a bright 5/4 to 4/4, both swinging wildly. "Man of Words," perhaps tellingly, closes the album. Palombi slowly bows the trombone melody from the original, making it sound like the bridge of Ornette Coleman's "Peace" in the process. Gentler than the 1961 version, but still moving. In between those two, the trio succeeds and recreating Little's melodies. Rich chords drive "Looking Ahead"
with its walking bass line. "Quiet Please" straddles full piano voicings in the theme with single-note lines in Friedman's solo. Throughout the album, Palombi's bass has the bright, fat sound of a vintage instrument, which could be attributed to an acoustic being miked at the strings, rather than recorded via a pickup and amp. The sound and tenor of this session create a joyful feeling, like a rediscovery of lost art. Which brings us to the label that released Strength and Sanity. Don't expect to find it on CD or at your friendly neighborhood download site. The French Newville imprint releases vinyl only, via subscriptions at that. They launched earlier this year, with a discography that includes a Frank Kimbrough session and Jack DeJohnette's first album of solo piano. Undertaking a subscription to their series costs a pretty penny, but the product is nothing short of astounding, justifying the expense (especially when considering it includes overseas shipping). The day the record arrived on my porch took me back to the magic morning when my first Mosaic set fell into my sweaty 17-year-old hands (The Complete Blue Note Thelonious Monk, in case you were wondering.) Newvelle Records evoke the same feelings in music lovers. Housed in a heavy, smooth cover, with a gatefold, the record comes in a sleeve printed with a poem by Tracy K. Smith. And if you haven't noticed by the picture yet, the record itself is pressed on clear vinyl. This is music produced by people who care about music and want to present it in a way that expresses their love for it. It presents a modern take on music from a golden era, and it recalls a time when discovering new musical adventures was as much of a tactile experience as it was an aural one.